I was frustrated when I arrived for my scheduled interview with Miguel Littin only to be advised that the interview had to be postponed due to a family emergency in Chile requiring Littin to leave for Palm Springs a day later. So with a two-hour time block at my disposal, I decided to take advantage of the press lounge. Chance morphed into opportunity when Liberation Entertainment's Director of Operations Zach Hunchar and filmmaker Caroline Bottaro sat down next to me. 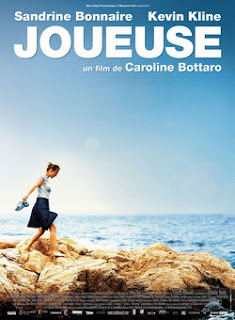 Eavesdropping (behind the ruse of reading Variety), I gathered that Bottaro's film Joueuse (Queen to Play, 2009) would be screening that evening and so I introduced myself and invited her—in effect—to convince me to change my schedule to catch her film instead. 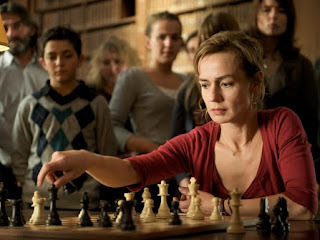 Queen to Play's original title Joueuse is the feminine form of "player"—as in playing chess—which hotel maid Hélène (Sandrine Bonnaire) discovers by chance and with which she becomes sensually enthralled. 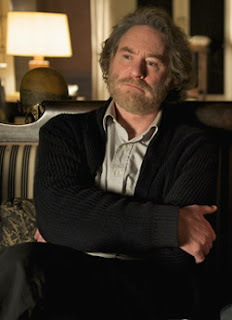 Hélène's tutor in chess becomes widower Docteur Kröger (Kevin Kline, in his first French-speaking role). Jennifer Beals likewise has a cameo as a hotel guest who inspires Hélène to learn the game. 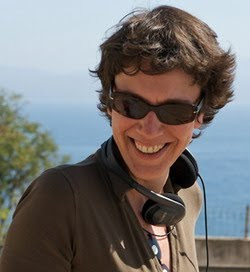 Set on the island of Corsica, Queen to Play is Bottaro's adaptation of the novel La Joueuse d'échecs by Bertina Henrichs. The film had its world premiere on April 25, 2009 in both New York City and Los Angeles, at the Tribeca Film Festival and the ColCoa Film Festival respectively. The film had a national release in France in August 2009 and was released in Germany in January 2010. Though she lives in France, Caroline Bottaro considers herself "European more than French", born from a German mother and an Italian father, and fluent in several languages. Michael Guillén: For your first film, you've assembled an incredible cast. 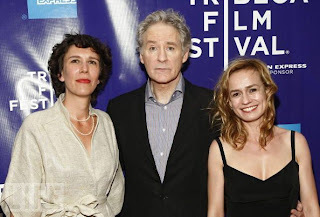 How did you negotiate securing such top-notch talent as Sandrine Bonnaire and Kevin Kline? 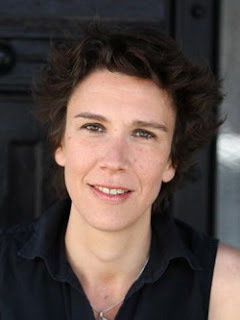 Caroline Bottaro: Sandrine was a special case because—before becoming a director, I was a screenwriter—and 10 years ago I co-wrote a film called C'est la vie (2001) with Jean-Pierre Améris in which Sandrine played the main character. I met her then. Bertina Henrichs—the novelist who wrote La Joueuse d'échecs (The Chessplayer), which I adapted for Queen to Play—was my neighbor in Paris, so I was the first one to read her manuscript and I immediately wanted to make a film about her story, and immediately shared the story with Sandrine, who—as I mentioned—I had gotten to know on the set of C'est la vie. Sandrine was very enthusiastic. That was six years ago. 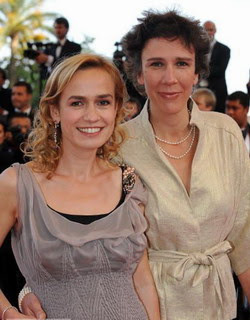 In the five years it took to make the film become real, Sandrine and I became very good friends. There were 18 different versions of the script and each new version was nourished by our friendship, our relationship. 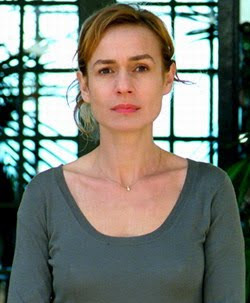 The movie, in a way, though it's the story of the character Hélène, was for me also a portrait of Sandrine Bonnaire. In my adaptation, there were many things that were especially written for her. She was with me from the beginning. With Kevin Kline it was a different matter because when you are a young French director with your first film, you cannot dream that you will have Kevin Kline. It's like Christmas for a child. I found the right producers in France [Dominique Besnehard and Michel Feller, Mon Voisin Productions] and—as I mentioned earlier to you—I'm happy to speak many languages and have different accents around me because of my family upbringing. I told this producer, "Why not an American actor for the male lead?" Because I love American cinema. It's difficult not to love American cinema when you love cinema. We had to find out which American actor could speak French. Someone in Paris mentioned, "Kevin Kline speaks French." Guillén: He's a great comic talent. Bottaro: But in Queen To Play—though it's not a drama—it's also not the kind of comedy in which he usually acts. I thought, "Wow. 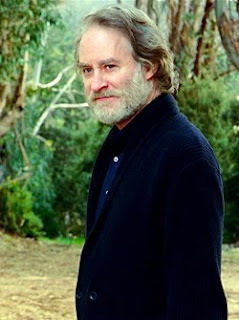 Kevin Kline!" But it was a dream. Still I thought, "Why not?" In fact, everything went like a miracle because Kline happened to have an agent in France. We sent the script to that agent. The next day the French agent phoned us and said, "I adore the script and I've sent it to Kline's American agent." The next day we received a phone call from the American agent who said, "I love the script and I'll send it to Kevin." Four days later, in the middle of the night I was sleeping and my cellular rang, I answered, and heard (in French), "Hello, this is Kevin Kline calling." We spoke an hour on the phone and he told me that he loved the script. He told me: "I haven't read a script as good as yours in 10 years." Further, he admired Sandrine Bonnaire's work. He knew her films. After that, I went to New York to meet him and we spent a whole day rehearsing at his home on Central Park in New York. It was like a dream for me to go to New York for one day. He went to his bedroom, changed his outfit, and said, "What do you think? These trousers?" He had just acted in Cyrano de Bergerac on Broadway and he had a beard. He asked, "Should I keep it or should I shave it?" I said, "Keep it." He tried on glasses to see what I thought. After a half hour he said, "Caroline, we are on the same page." Three months later he was on the set. Guillén: How exciting for you! I'm intrigued when screenwriters shift into the directing role, and also that you took an existing book and adapted it into a screenplay. How approximate is your screenplay to the book and how approximate was your shooting script to your screenplay? Guillén: And you saw her book go through many stages and drafts? Bottaro: Yes. The story is the same but many things were changed in the different versions of the script. It was not always easy to be a friend and neighbor to the novelist. Bertina read the different scripts and at the beginning it was difficult for her to let her baby go. But by the end she became a great fan of the movie and told me, "It's strange because I am in the movie, you are in the movie [Bottaro has a brief cameo in a scene on the bus], Sandrine is in the movie." Bertina's very happy with the result. 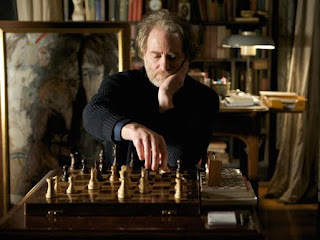 The grand situation remains the same with the most important difference being the connection between chess and sensuality, which for me was new and original. I've never seen that in any movie about chess, though there are several movies with chess in them. 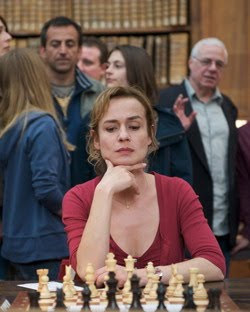 Queen to Play is a film where everyone speaks about chess all the time but chess is not really the subject of the film. The film premiered at the Tribeca Film Festival in New York and Variety wrote that the movie was a "clever feel-good movie" and I liked this. Bottaro: The film is a journey of a character who at the beginning has an honest, simple, but boring life. Each day is like the other. She's a lower class character. 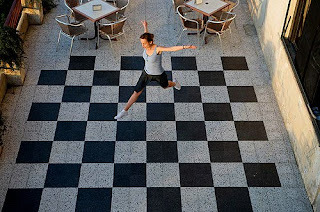 The sudden passion she has for chess helps her become herself, even as a woman. Her relationship with Kevin Kline is more like friendship, it's not love, but it's a kind of love, very special, you have to see the movie. The way he looks at her, and through this passion, she become more feminine. Her life changes. That's the subject of this film: how a passion if you work at it and dedicate yourself to it can change your life. In this case, it's chess but it could have been something else. Guillén: That's one of my favorite themes: that one can recreate their lives in their middle to late years. 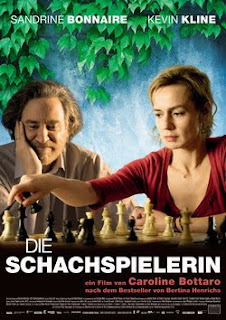 Bottaro: In fact, Hélène's not young and—at the moment she becomes interested in chess—there's nothing to tell her that her life is going to change. In a way, she's not the one who decides; her passion decides for her. She dedicates herself. She thinks only about chess. Her family and her whole life changes with her. So it's a positive message—though I don't like the word "message"—but…. Guillén: Notwithstanding, within the festival experience it's important to experience films that have positive messages, alongside all the equally-important somber films. It's important to walk out of a screening and feel, "Oh that was a good time." What's the film's theatrical trajectory? Have you opened in Europe? Bottaro: It opened in France. It opened last week in Germany because it's a French-German co-production. In Belgium and Canada. And now it opens in April in New York. Guillén: What was the French reaction to Kline's first French-speaking role? Bottaro: It was a good reaction. It's the first time he acted in a foreign movie. I was very proud of that. Guillén: As well you should be. That's a major accomplishment! Bottaro: Yes! We've remained friends. I just visited him in late December in New York. 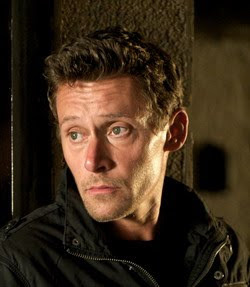 He stayed with us three weeks after his work was done on set and he said, "Wow, I haven't been as challenged on a film since Sophie's Choice." He had to speak French and he had to work a lot on that, even though he already spoke French, though not as fluently as necessary. He had to learn to play chess. Sandrine is not a chess player and I don't play chess either. By the end of the shoot, the whole crew had learned how to play chess. But we three did not have the same leisure time to learn how to play chess. In American movies Kline is a physical comedy actor. I love him for that too. He's graceful. He's like a dancer when you meet him in person. He's a physical man. Guillén: If I recall correctly, he's one of the first actors to win an Oscar for a comic performance—the Academy doesn't usually award comic performances—which is a statement to his considerable talent. Myself, I associate him primarily with his serious roles. Bottaro: You can feel that he is a great theater actor too. He's a complete actor. Not just a film actor. I asked him to act less physically because at the rehearsals on the set he began to act out. He said, "Don't you think the audience will be bored if I do nothing?" I said, "Trust me." For me, it's part of his charm in my film. It's like a car. You can drive very fast but you don't have to push the pedal to the floor. You know the power of the car. His performance is charming. Those three things—improving his French, learning chess, and downplaying his performance—were challenging for him. Guillén: You're in a unique position because—having been a screenwriter, having worked with other directors, having known what they've done to your scripts—I imagine you've had to negotiate with directors to change your scripts to accommodate shooting? Can you speak to the advantages or disadvantages of working with your own script? Bottaro: For me it would be a strange thing to direct a script I haven't written. You asked me earlier about the difference between the screenplay and the shooting script. It was a precisely written script so there's wasn't much difference between the screenplay and the shooting script, though there were surprises on the set involving the actors and so forth. As a writer, I visualize the movie and write it down. It took five years to make it happen so the script was very precise in my head. The surprises came from the actors. We didn't change the script much. Maybe it would be challenging for me to direct a script I haven't written; but, my point of view in this story was already in the script. I had visualized the mise en scène in detail. I had visualized if he was sitting in a chair and she was standing in front of him. I had visualized what was happening between the characters. After that in rehearsal when someone like Kevin would make a suggestion, sometimes it would be interesting and I would change my mind: "Yes, you are right. It's better like that." As a director you have to be very prepared or very strong—but even strong people are prepared—but when you are strong maybe you are more able to change things. But there's so much pressure on a director in terms of time and money, the schedule is so demanding that you have to know precisely what to do day after day. What was most important for me in this movie, and it was deliberate, was that the character and the actor—especially in the case of Sandrine—was the most important thing for me. I didn't think, "Yes, I'm a young director. I have to show the world how good I am and I have to do a special thing with the camera." I decided deliberately to be humble with the story I was telling and in my direction of the actors. Guillén: You say it took you five years to make this film. Will it take you five years to make your next? Bottaro: I hope not. No, no, I hope not. I'm writing the next one now. But it's funny because, in another way, those five years were important to the process of the film. Sometimes I'm a bit worried about the next film. I think, "Maybe it will be faster this time." But I hope that it's a good thing that it's faster. Every moment of those five years, even the bad ones—because you can imagine that in five years you have ups and downs, ups and downs, and you have people who tell you, "Give it up and write something else"—I was always saying, "I can't give this story up. I know I have to do this story." It had something to do with the main character in the movie. The question wasn't a question anymore, no way, I had to do this. Now what I worry most about the next one is to have that feeling again. Guillén: That you're settled into the film? That you know it so well? Guillén: I've recently been reviewing the films of Jacques Tati who was a filmmaker with considerable time between projects, such that he only accomplished six films in his whole career. I've given a lot of thought to his need to be settled into his films, to hold faithful to his vision, even if others could not recognize them as masterpieces. Bottaro: But they were masterpieces! Guillén: Clearly, but it took the critics and the public some time to recognize them as masterpieces. Bottaro: No one begins to work on something saying, "I'm going to create a masterpiece." That would be crazy. And when that happens, the people become crazy. In fact, I just saw a documentary about Henri-Georges Clouzot…. Bottaro: You saw the documentary on L'Enfer? Guillén: Yes, I caught it at the Toronto International and enjoyed it very much. Bottaro: Clouzot wanted to make a masterpiece. There were no limits, no producers, everything was possible and the film never came to the end and everyone became crazy on the set. Guillén: I take it you don't want to experience that? Bottaro: Oh no! I guess the most important thing for a film are the producers. If they're good, they're good; if bad…. Guillén: Who are your influences in both European and American cinema? Bottaro: I have to say that there are a lot of directors that I admire very much but for Queen to Play there were two American directors that were specific references. The first is Clint Eastwood. I love Clint Eastwood because he directs and acts in film that are very personal and have a Clint Eastwood "touch". But in another way his films are for the whole world. He's an auteur but with a commercial sense. The other one is an older film The Ghost and Mrs. Muir. The set design for the house where Kevin Kline's character Docteur Kröger lives came about through working with the set designer Frédéric Jacq. I had him watch The Ghost and Mrs. Muir. I thought of Rex Harrison's role in that film as a guiding model for Kevin Kline's character. Needless to say, by this point Bottaro had convinced me to catch her film that evening, and made it easy to do so by offering a comp pass. The line to get into the Palm Springs High School screening was immense and everyone was buzzing in anticipation of seeing Kevin Kline in his first French-speaking role. It gave me pleasure to photograph Caroline and Zach in front of the auditorium with their excited audience queued behind them. Queen to Play proved delightful. Along with Bottaro's capacity audience, I was charmed by the film's intelligence and sensuality and the perfectly-pitched performances by Sandrine Bonnaire and Kevin Kline. Francis Renaud likewise delivers a heartfelt supporting turn as Bonnaire's salt-of-the-earth husband Ange struggling to respect and make sense of his wife's new passion. The film received a Special Jury Mention for PSIFF10's John Schlesinger Award for Outstanding First Feature (Narrative or Documentary). 08/14/10 UPDATE: indieWIRE reports that Zeitgeist Films has acquired all U.S. rights to Caroline Bottaro's Queen to Play. Zeitgeist plans an early 2011 release for the film.